The BBQ is Friday, June 7, 2019. 4:30-5:30 p.m. – Check-in on South Patio. 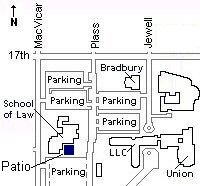 6:00 p.m. – BBQ at School of Law South Patio.